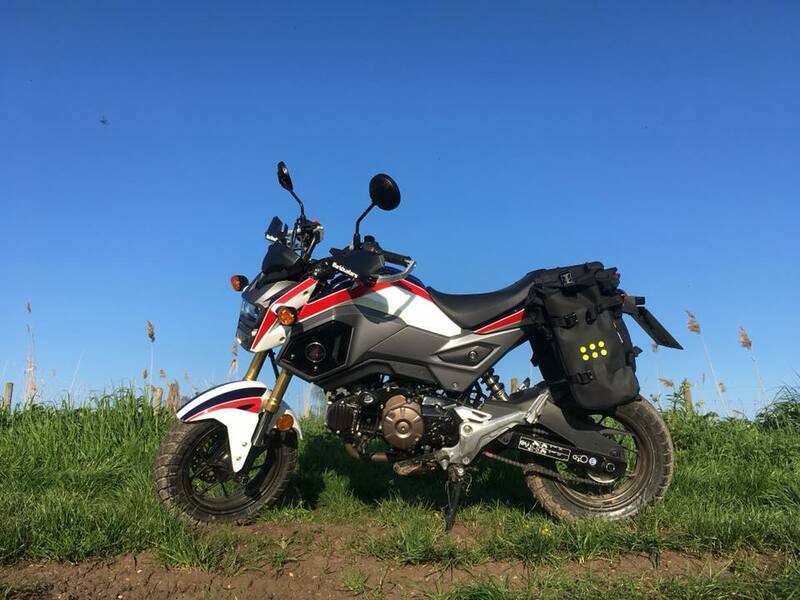 Can you turn the ever popular Honda Grom into a mini-adventurer? 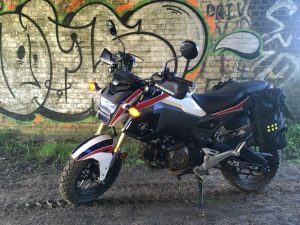 The Japanese manufacturer’s MSX125 is ripe for customisation, and heaps of fun to ride. 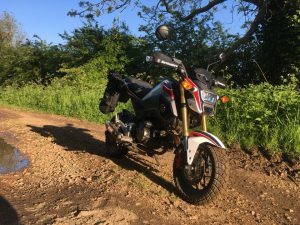 Keen to push the boundaries of it’s capabilities, Bike Social editor John Milbank has decided to try and turn his own personal Grom into a miniature version of the new Africa Twin adventure bike. 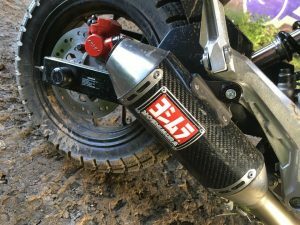 So what’s John changed on the bike so far? 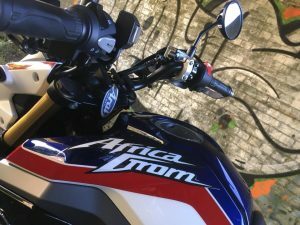 For the tri-colour paintwork, John turned to 4th Dimension in Egham, who also ended up flattening the plastic panels to allow the round Honda badges to sit correctly. 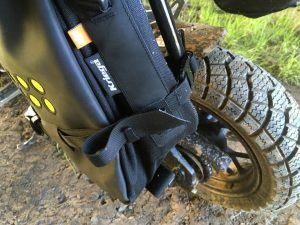 A luggage rack accommodates some Kriega soft luggage, R&G provide the crash protection, and an aftermarket Yoshimura exhaust adds to the look (and sound) of the bike. 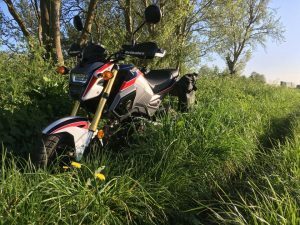 John has also fitted Barkbusters handguards, complete with Denali spotlights, for some extra light when riding at night. 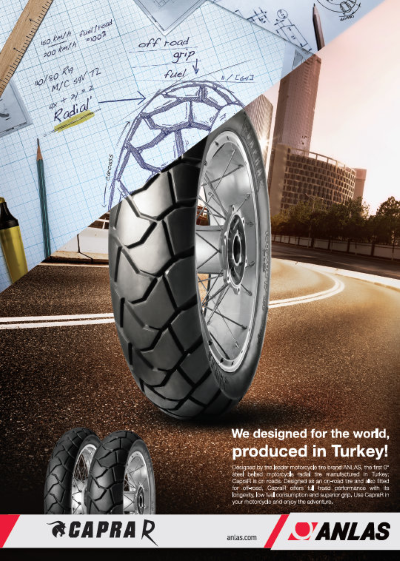 Our friends at Rally Raid Products in Northampton are also busy working on a set of spoked wheels for the bike, which are due to be fitted in the near future. 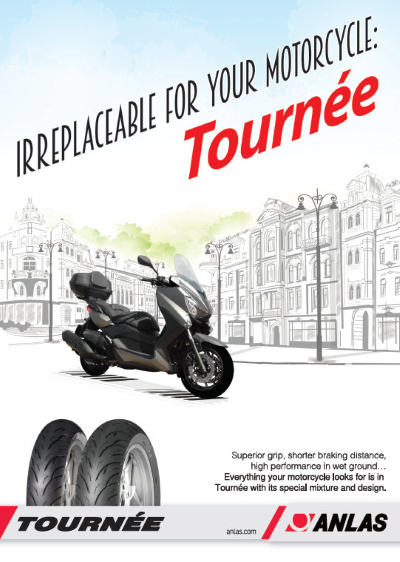 In the meantime, the bike’s original wheels have been fitted with our popular Winter Grip 2 tyres, which are proven to deliver excellent traction on a wide range of surfaces. John has already been exploring some trails on the bike, and once the new wheels arrive, he’ll be able to push it even further to see just what it is capable of! 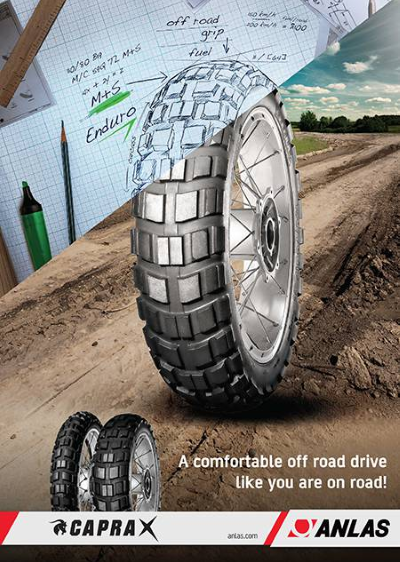 Plans are also afoot for more off-road suitable pegs, and an aluminium bash plate. 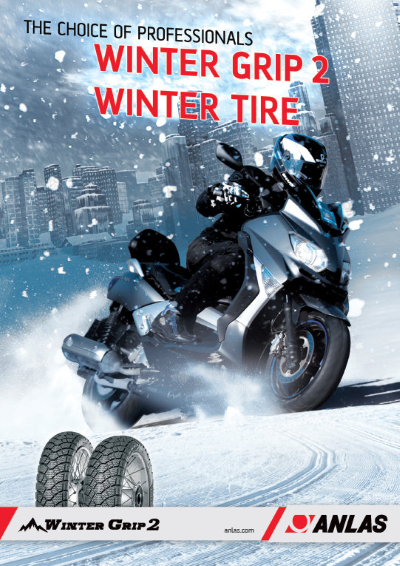 Find out more about the Winter Grip 2 here.